I’m so happy to share my brand new book with you! Creative Revolution is a true culmination of my life’s work which highlights the incredible transformations I have witnessed by sharing my Brave Intuitive Painting process with thousands of people over the past six years. 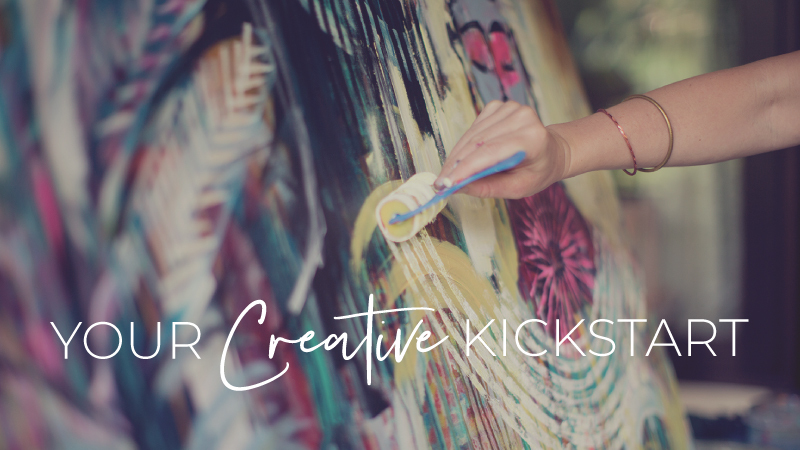 Weaving personal stories with painting exercises and tools for inviting more connection into your everyday life, Creative Revolution offers a new way to approach creativity both on and off the canvas. I believe engaging in the creative process offers a rare and wonderful opportunity to loosen our grip of control, dig beneath the surface of our daily existence, and respond spontaneously to ever-evolving circumstances. In this way, creativity allows us to become the alchemists of our own unique experiences, while providing a tangible vehicle for expressing them to the world. When done with courage, integrity and heart, these gusty creative acts have the capacity to connect, empower, enlighten, and ultimately heal. Join me as I explore the soulful and transformational power of art medicine in my latest book, Creative Revolution. We all have infinite wells of creative capacity just waiting to be tapped and remembered, and it’s my sincere belief that we are remembering. All around the world, a genuine desire to create personal and meaningful creative work is growing and becoming more and more necessary. While complex global situations intensify, we are being called back to a time when creativity was both an essential part of survival and an integral part of human expression. A creative revolution is brewing. Can you feel it?